Explore the Kia new car model range. We're the respected name in motoring and the largest network of approved dealerships for a wide range of international manufacturers. As a Kia representative, we proudly claim our place in the top five, out of close to 200 UK locations. Our modern, conveniently-placed showroom has the biggest selection of cars, parts and accessories in the region. Visit us to pick out a vehicle, take a test drive, and book in for MOT tests, repairs and servicing. The vehicles and other items we provide give you excellent value for money, as you'd expect from the manufacturer. On top of competitive pricing, the deals and special offers we regularly provide are an added benefit for every customer. 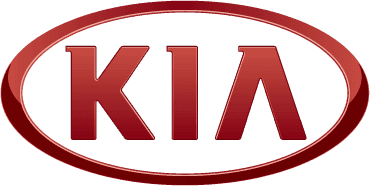 Kia is well-known for building compact yet deceptively spacious cars with a high level of fuel economy. The latest generation includes such instantly popular models as the Soul, Venga,cee'd and Sportage. Versatility across the range makes them suitable for every driving need, from commuting and executive use to family drives, personal motoring and the Motability Scheme. Your options aren't limited to the current generation, as there's always a selection of high quality tested and approved used cars. Our qualified technicians personally check and verify every single vehicle, so you can choose from the range with total confidence. We maintain long-lasting business and personal relationships with our customers, supporting them at every step with specialist aftersales care. Bring your model to our servicing centre for MOT testing, vehicle health checks, repairs and seasonal maintenance. You're guaranteed quality - our technicians are trained by the manufacturer to work precisely and use only genuine parts. These same model-specific items and accessories can be purchased separately if you'd prefer, and our prices are just as competitive as those for the new car range. There's always a varied selection in stock, and our strong supplier relationships mean that we can find specific items for you quickly and cost effectively. We also provide, fit and balance specialist tyres. Get in touch for more information and to make an appointment with our dealership team. EACH NEW KIA VEHICLE AT CHARLES HURST BELFAST COMES WITH AN INCREDIBLE SEVEN YEARS WARRANTY!